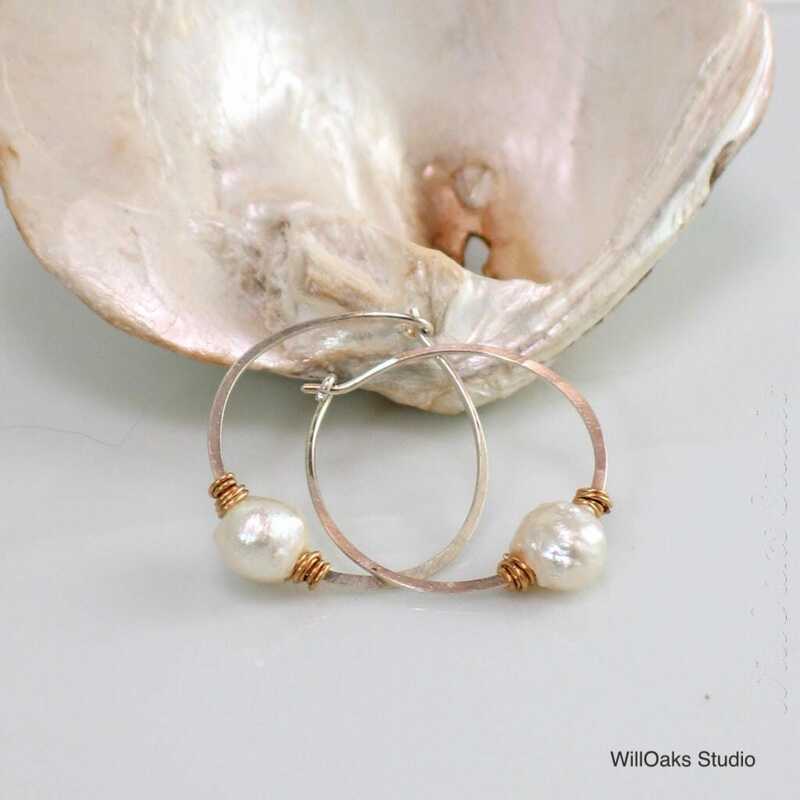 Lightweight and easy to wear, these self-closing druzy pearl hoop earrings in sterling silver or 14-20 gold-filled metal are about 1 1/8" diameter. 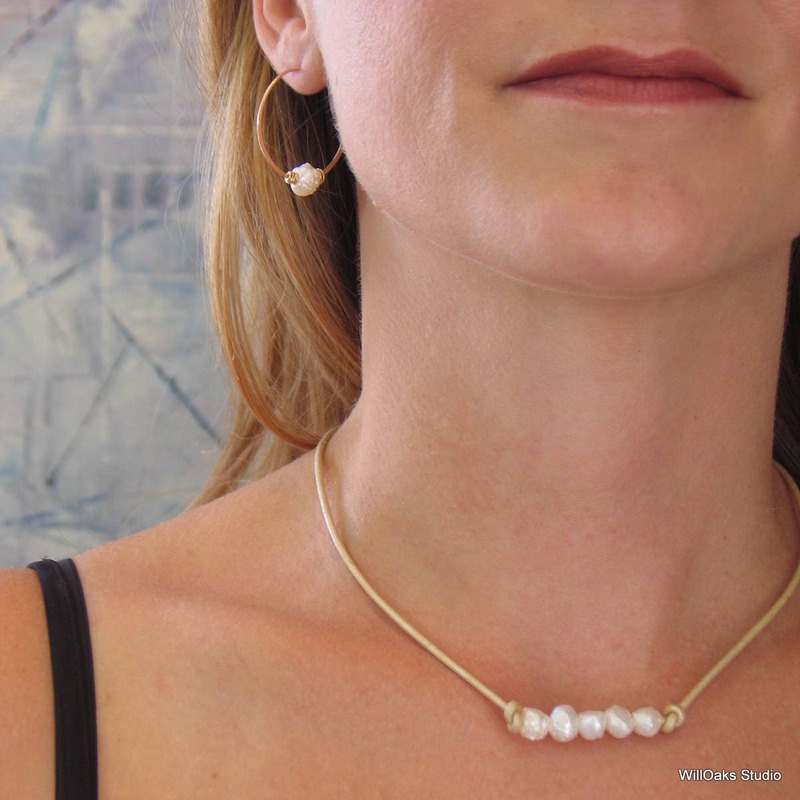 Exquisite freshwater pearls (also called drusy or rose bud) have all the luster of regular pearls, but feature organic shapes and unique textured surfaces. 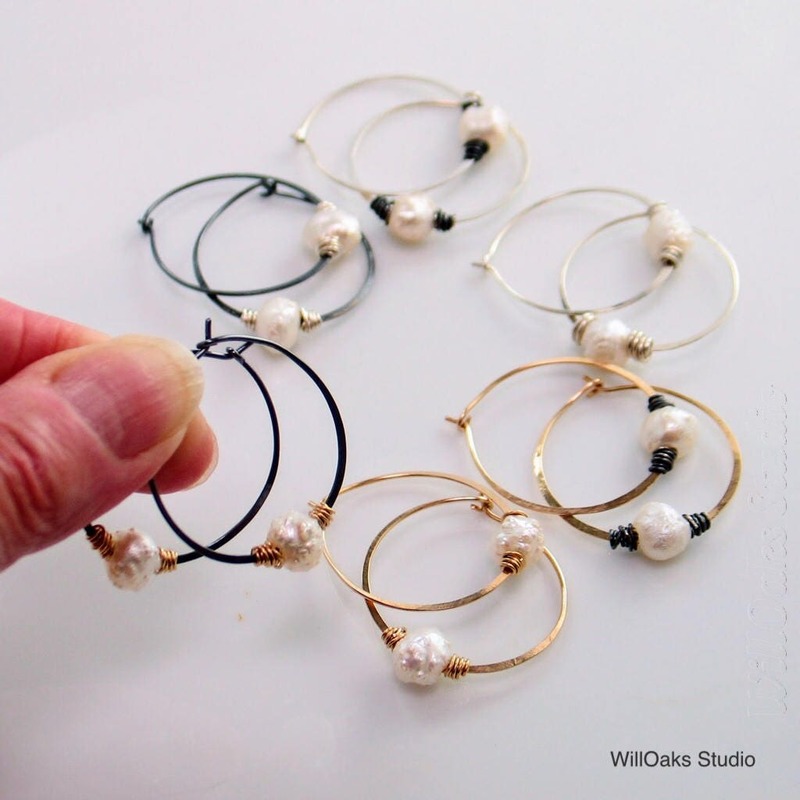 White druzy pearls, about 7 to 8 mm diameter, are trapped with rustic bindings of precious metals (selections below) at the bottom of each hoop earring. 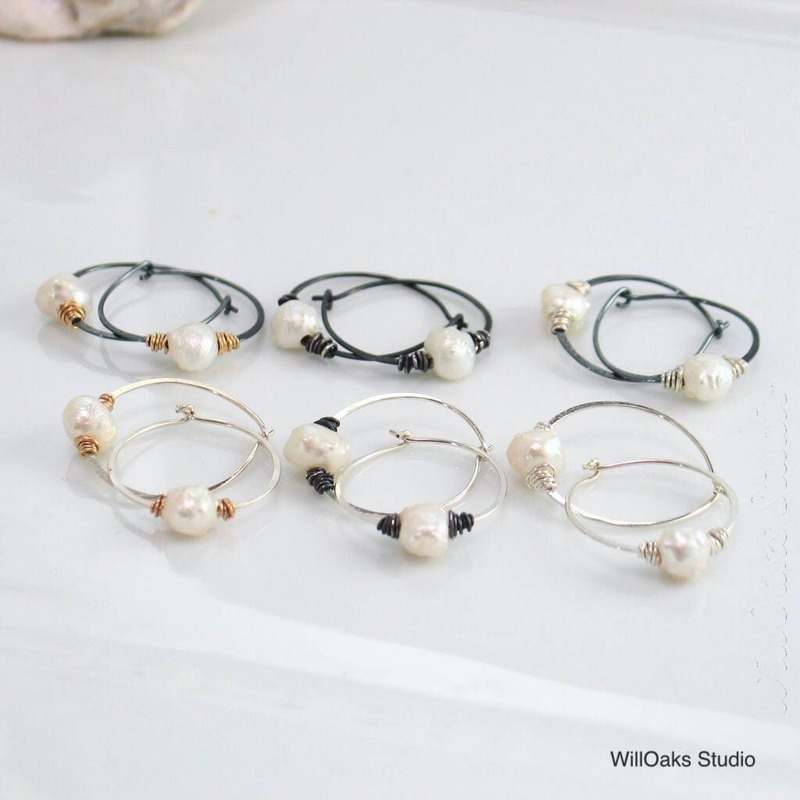 Mix or match metals for the look you like, and do check these druzy pearl and leather listings, parts of my new line, "Druzy Pearl Jewels Collection." Mailed in my signature packaging, ready to give or to enjoy. 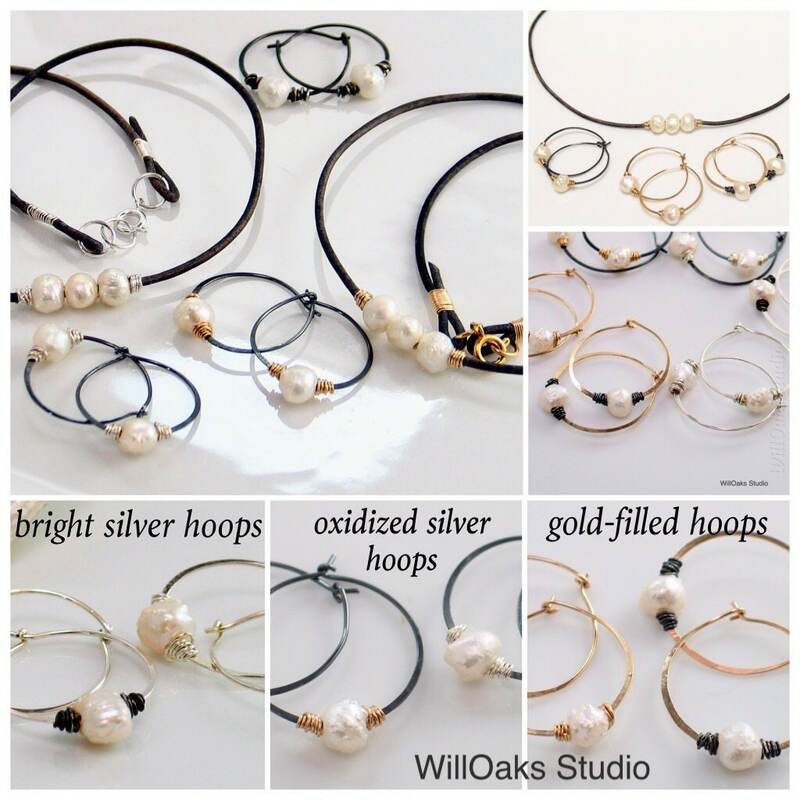 Each hoop is handmade to order for you by me in my studio with hand formed & forged silver or gold-filled wire. 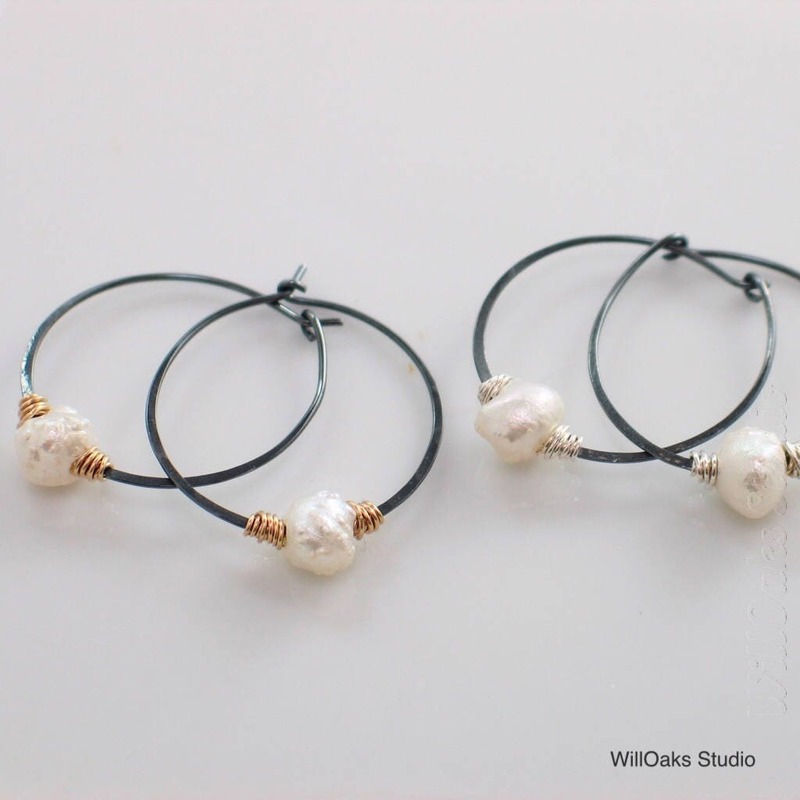 Natural freshwater druzy pearls also have subtle variations, so earrings made for you will be beautifully unique & OOAK. Please select your metal combination as you check out-every variation listed is available, but not all are included in my photos yet....thanks for stopping by-any questions, please get in touch!